Top Car Preparation Services | Carcierge Inc. If you are planning on selling your car, we will utilize our industry expertise and resources to get you the most money out of the deal. We’ll examine the condition of your car and then use our specialized software to evaluate your car and come up with a true market value. From there, we can help you decide whether it would be worth trying to sell or if you should trade it in when you buy a new car. If we sense that your car could be worth more with a little effort, we will advise you on what steps to take to prepare it for sale. In order to increase your chances of a high sale price, you will want to be sure your car is as clean and free of imperfections as possible. This can be done through one of two ways, as needed: car detailing or car reconditioning. We can coordinate a detailing or reconditioning appointment on your behalf. 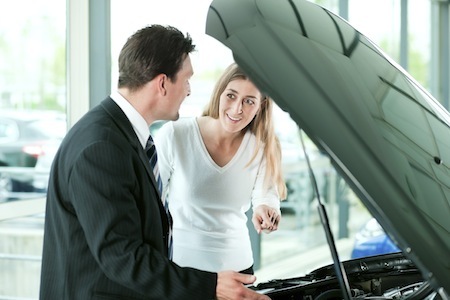 We have connections to auto experts who will detail and recondition your car for a discounted rate. Car detailing is an extensive cleaning and restoring process, usually including the interior and exterior of your car. Car detailing experts use a variety of cleaning products and methods, including vacuuming, steam cleaning, polishing, and degreasing to restore your car’s appearance to “like new” condition. Car reconditioning takes the cleaning process of car detailing and adds to it. The process may involve headlight restoration, paint chip repairs, upholstery/carpet repairs, and trim restoration. Give us a call or contact us through our website to learn how we can help you get the best deal on the sale of your car.